You wait and you wait and you wait for the Half Century of Progress to come around, then it is here, then whoosh, it is over! 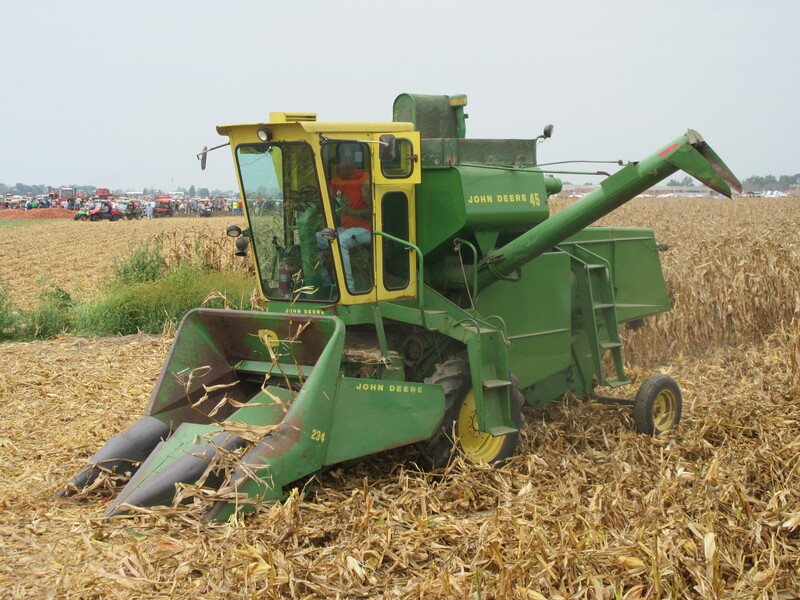 The event only happens twice a year, the antique farming equipment predecessor to the Farm Progress Show. This event is like the World’s Fair of equipment shows. 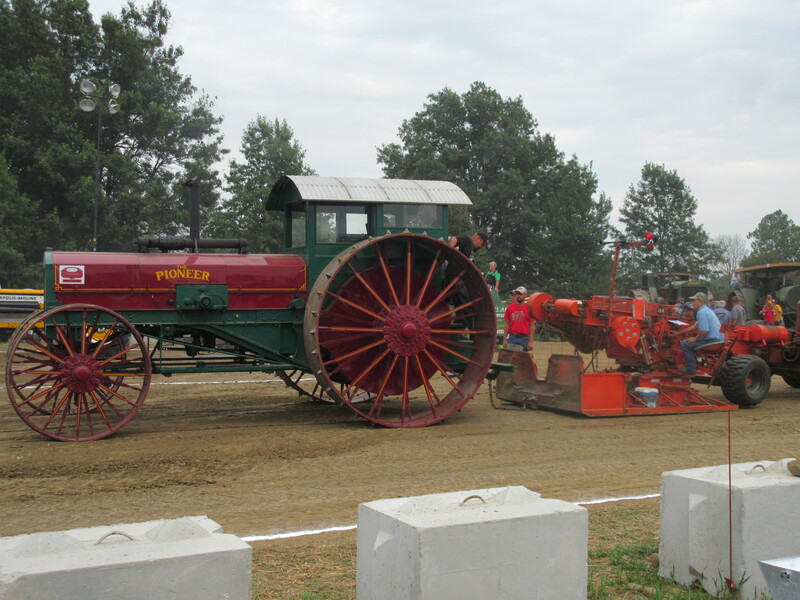 There were many highlights this year, when the big Prairie tractors took to the field and when they pulled a sled in an unanticipated event at the tractor pull. The Big Flag served as a backdrop to picture after picture when my husband Keith snapped frame after frame. We met one young man from the Netherlands that takes his vacation to come to this event. 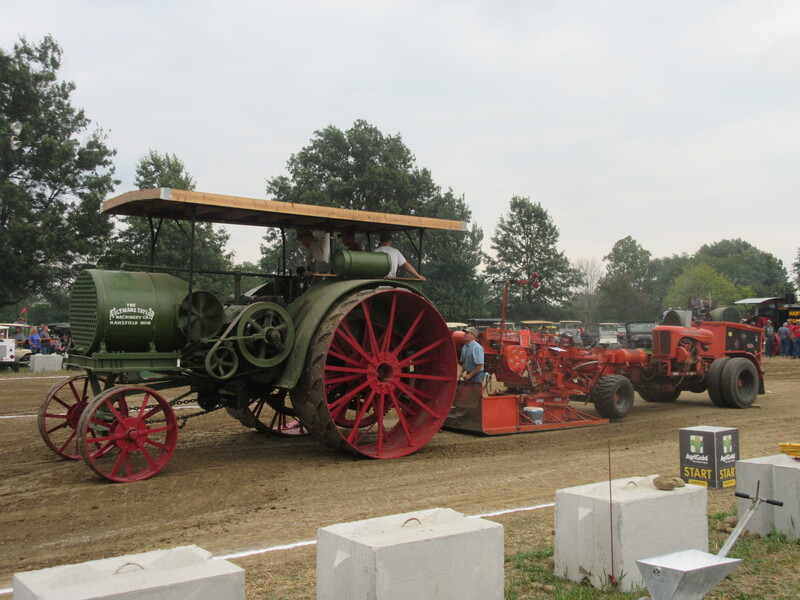 Even though I have been at this writing about antique tractors for a while now, I saw machinery I had never seen before. Russell Buher had a Buher tractor that he said came from Switzerland, I saw a McConnell tractor that was also a new one for me. Then there are the homemade and the one of a kind items as well. 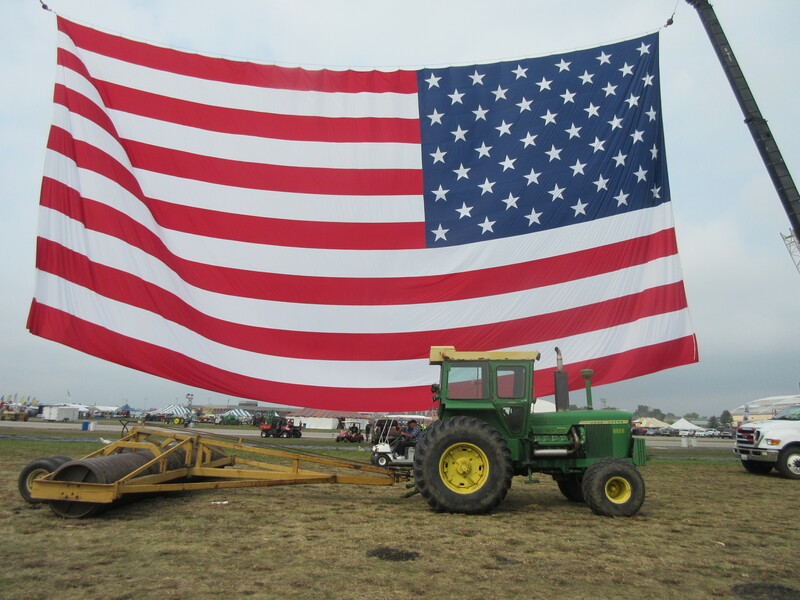 Fifty years and older farming equipment were celebrated at this mammoth event that means so much to so many. Three days of harried hurrying to see, hear and touch all the images of the Half Century. It is a little like after your birthday or Christmas, a bit of a let down because the Half Century of Progress is over…..